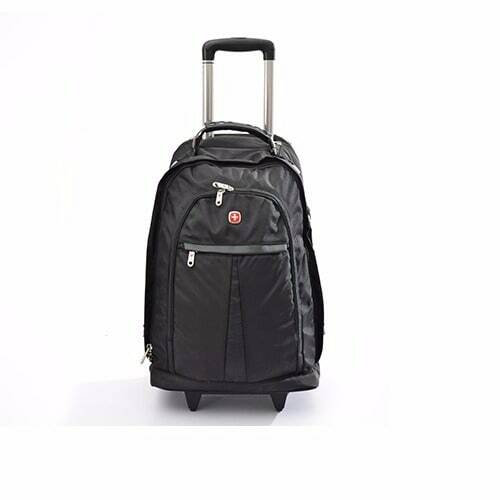 Swiss-gear Trolley/backpack fits for laptop of any size with compartments for other gadgets and wears. Helps you fit all your belongings into one carrier and safe you go for the desired journey. Your laptop and tablet and other valuables will be snugly tucked between layers of foam that absorb shocks and bumps along the road. Computer compartment fits most 15/17 notebooks Quick Pocket for easy access to items such as your cell phone, airplane tickets, etc. 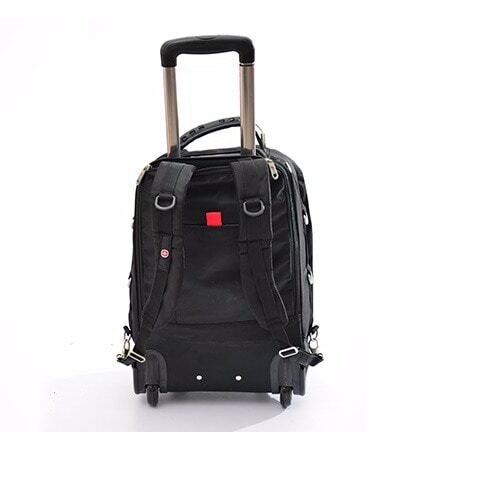 Material is top notch from the best Durable and weather-resistant ballistic polyester Swiss-gear backpack/trolley backpack is made to withstand harsh conditions.